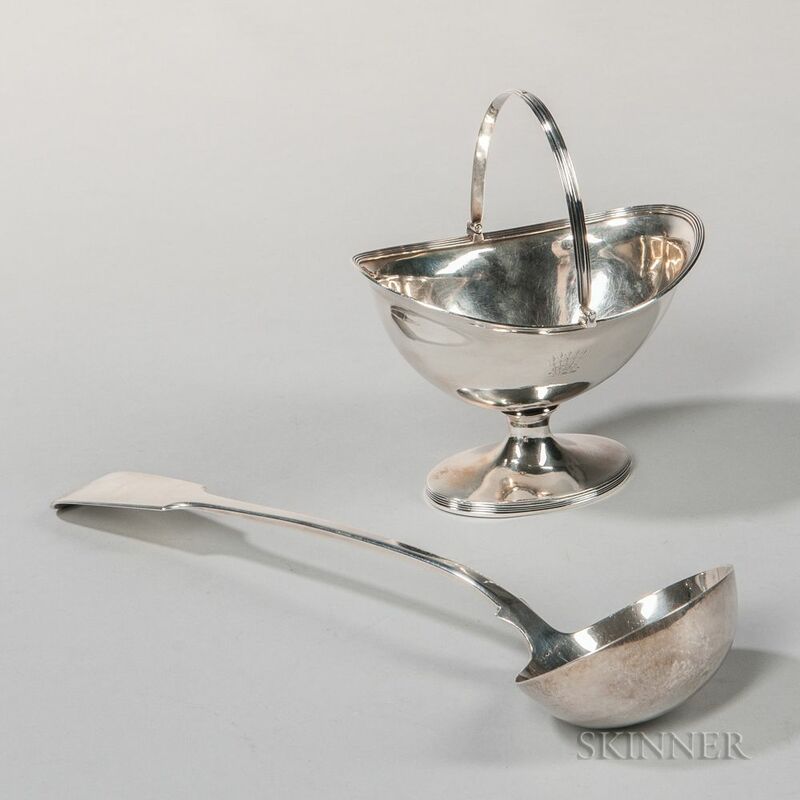 Two Pieces of English Sterling Silver Tableware, London, a sugar basket with engraved armorial, 1815-16, by Henry Chawner, ht. to handle 7 1/2, and a ladle, 1834-35 with worn mark probably "WB," lg. 13 1/2 in., approx. 17.3 troy oz.